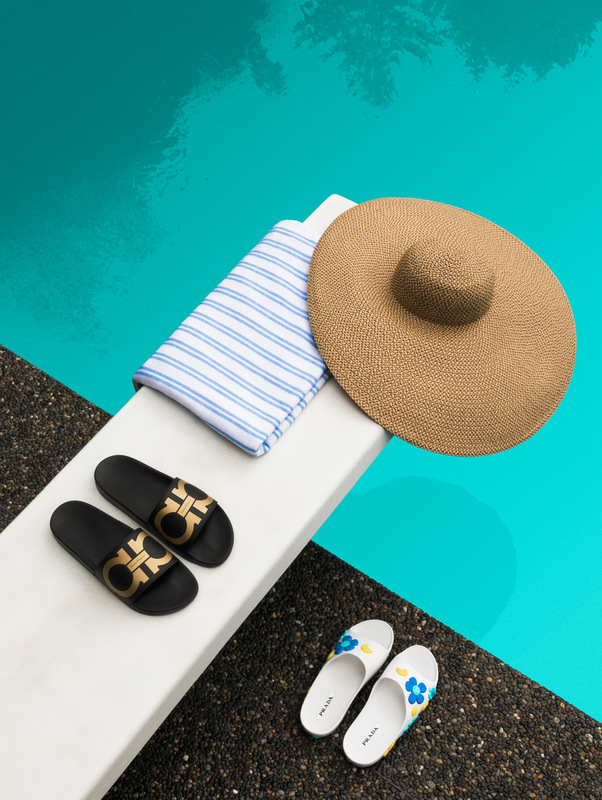 Eric Javits hat, available at Holt Renfrew; Balenciaga towel, Salvatore Ferragamo men’s slides and women’s Prada floral slides, all available at Nordstrom. 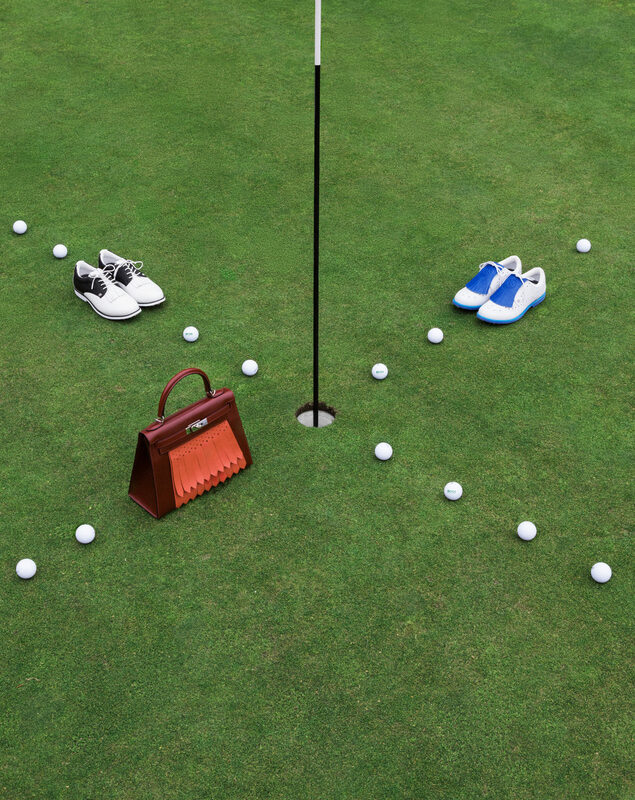 Hermès Kelly Golf bag; G/Fore men’s and women’s golf shoes; BOSS golf balls. 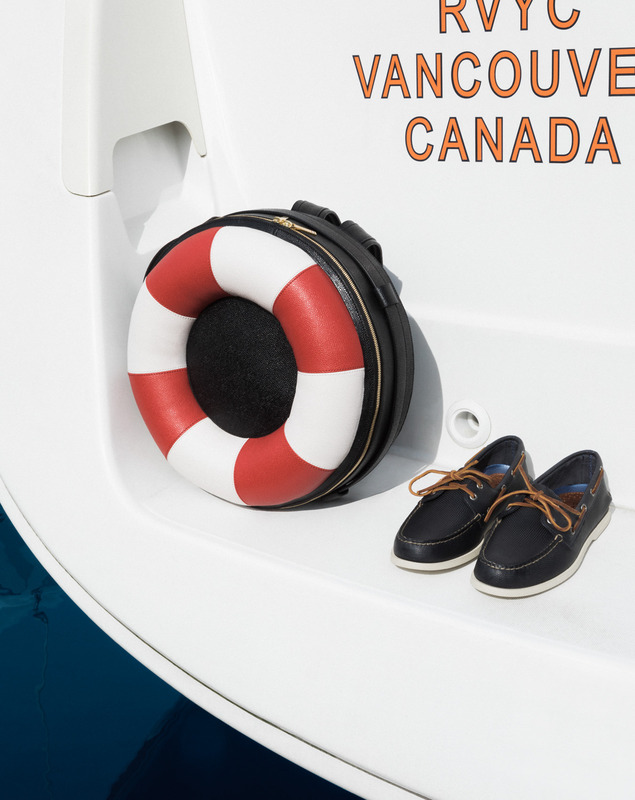 Thom Browne life preserver backpack, available at Holt Renfrew; Sperry boat shoes, available at Nordstrom. 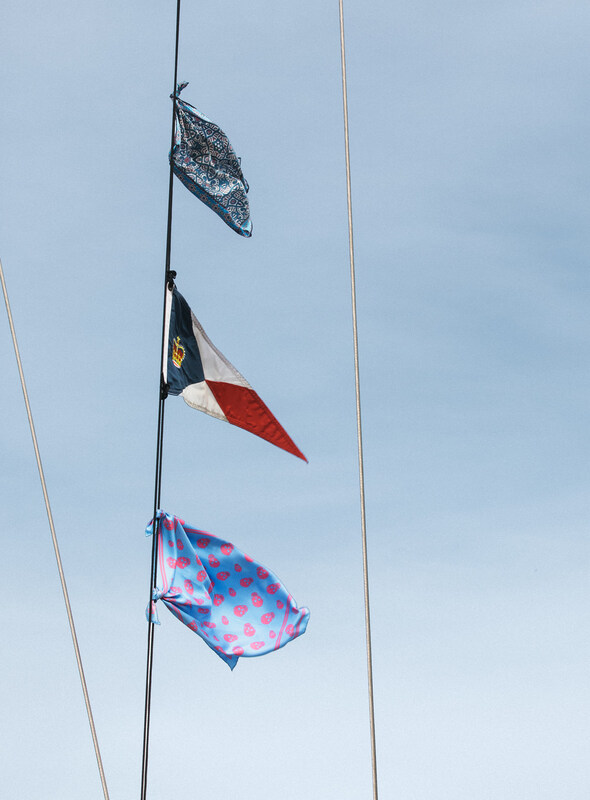 Rebecca Minkoff Pasadena Pavement scarf (top) and Alexander McQueen scarf (bottom). 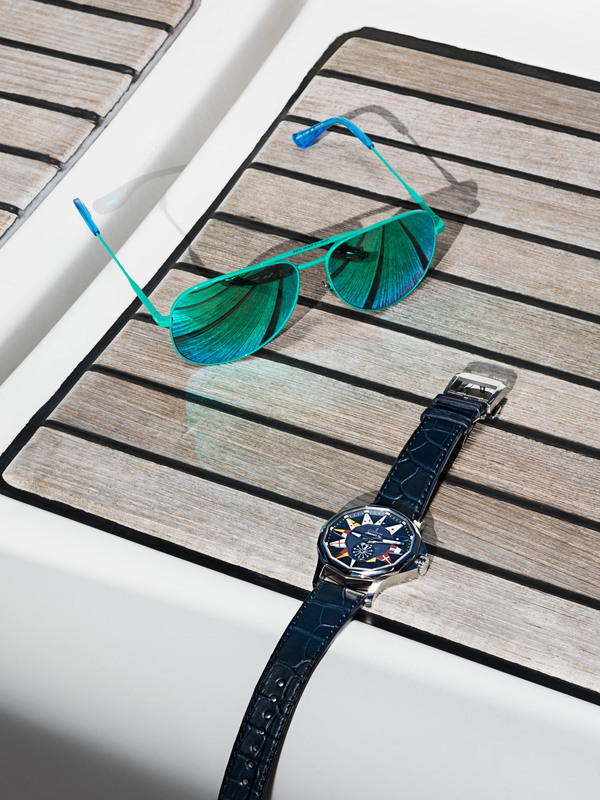 Tom Ford sunglasses, available at Holt Renfrew; Corum Admiral Legend 42 watch. 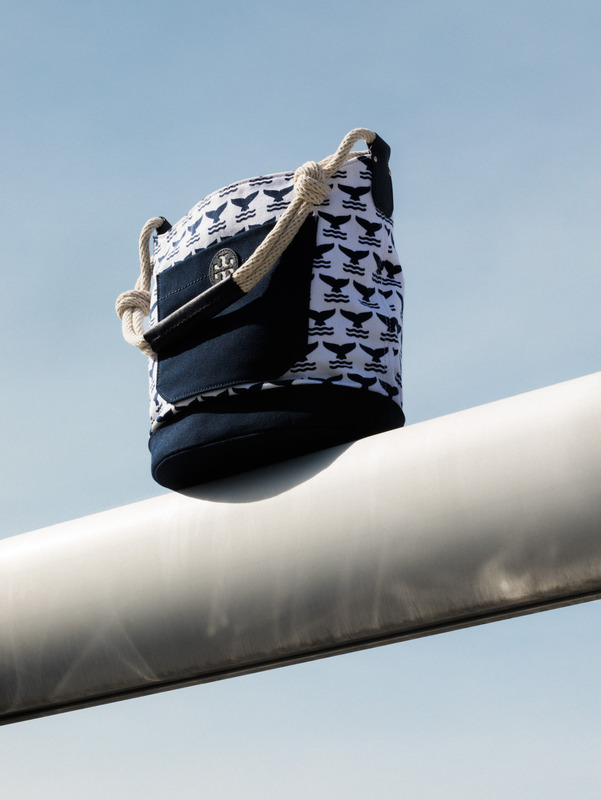 Tory Burch Nautical Canvas Hobo bag, available at Nordstrom. 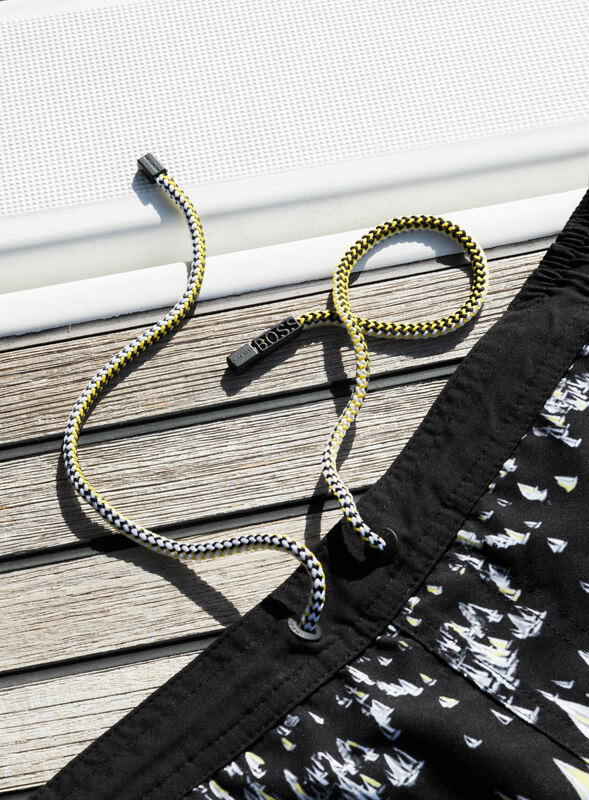 Audemars Piguet Royal Oak Offshore Quartz watch with rubber strap and 32 brilliant-cut diamonds. 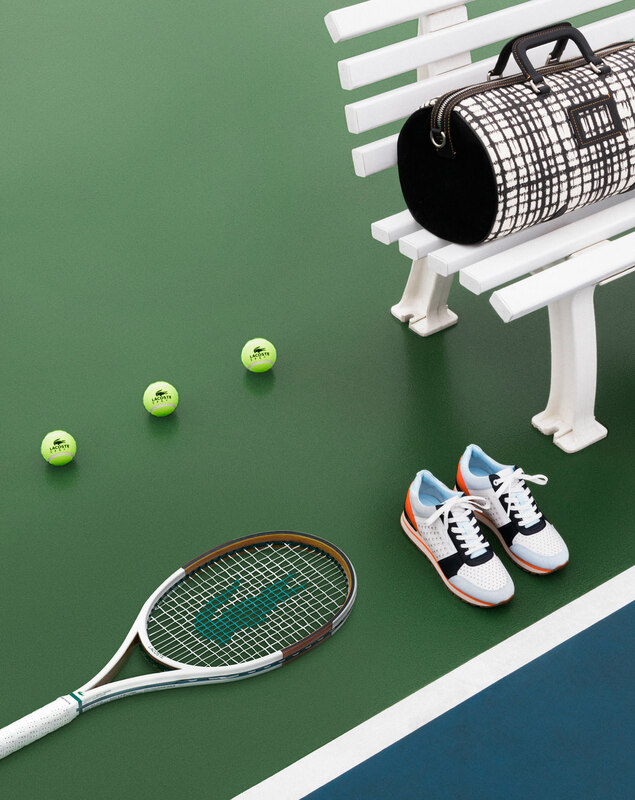 Coach Flag Gym Bag; Michael by Michael Kors Billie sneakers, available at Holt Renfrew; Lacoste LT12 racquet and tennis balls. Special thanks to Northlands Golf Course and Hollyburn Country Club.